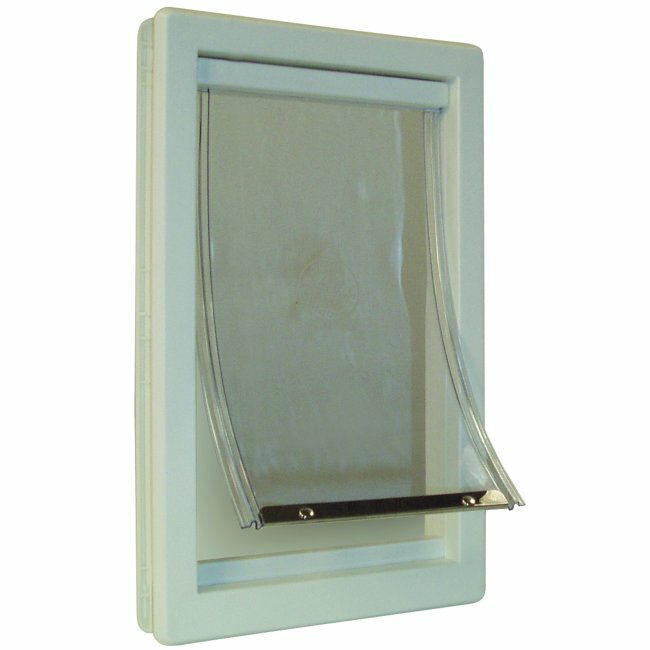 The Ideal Original Pet Door is designed with a sturdy ABS thermoplastic frame, a see through poly vinyl flap with patented edges to prevent warping; a floating sill to insure good closure, and a strong molded ABS lock-out slide to restrict access when necessary. 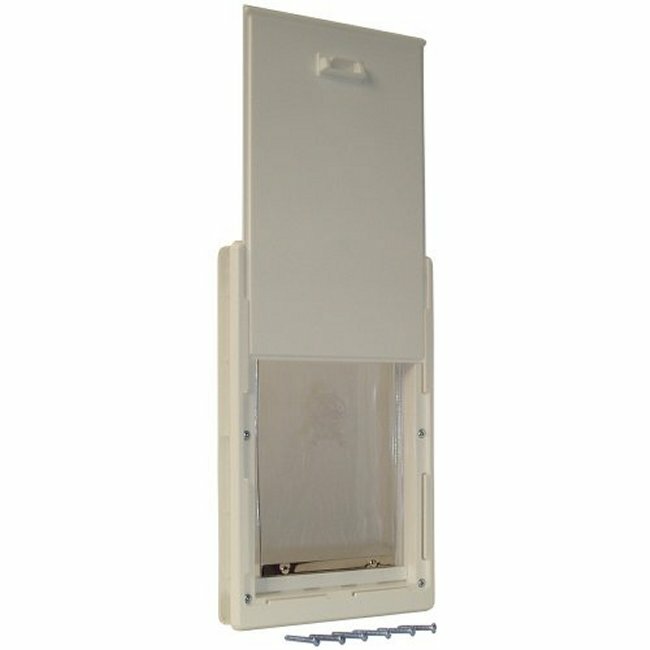 Ideal Original dog doors feature a tamper-proof mounting system and easy installation. 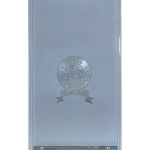 Small: 5" x 7" - For pets 2 to 12 Lbs. Medium: 7" x 11 1/4" - For pets 13 to 35 Lbs. Extra Large: 10 12/" x 15" - For pets 36 to 90 Lbs. Super Large: 15" x 20" - For pets 91 to 120 Lbs. Small: 7" x 10 1/4"
Medium: 9" x 14 7/8"
Extra Large: 12 1/2" x 18 1/8"
Super Large: 18" x 23 11/16"
Small: 6 1/4" x 9 1/2"
Super Large: 16 1/2" x 22 1/4"
What a great dog door. We have three large dogs and we're constantly opening and closing the door for them. Now we can all come and go as we please! It's a sturdy plastic door that was very easy to install. Thank you from all of us! I like the door, but it isn't flush with the door I mounted it on. It still sticks out. Maybe It wasn't pushed in far enough. My last one didn't stick out so much. This is a complete pet door. It is not just the frame or flap. 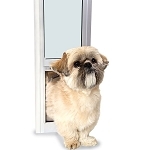 If you need just a flap we do sell those on our web site under the category: Dog Doors. 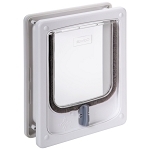 Sub-category: Dog Door Replacement Flaps. Q: Is this the replacement for a sliding glass door! I just need the plastic frame that fits in the tall glass frame? 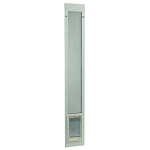 This is not a replacement frame for the Ideal Patio Door or any Ideal door. If you need just the frame part you will want to contact Ideal Pet Doors directly at 877-IDEALPET (433-2573) or 1-800-378-4385.